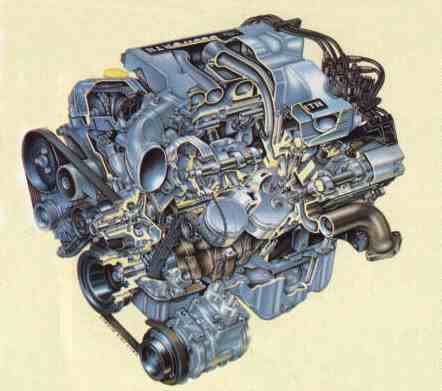 One possible avenue in the relentless search for power... a Cosworth V6 24V! 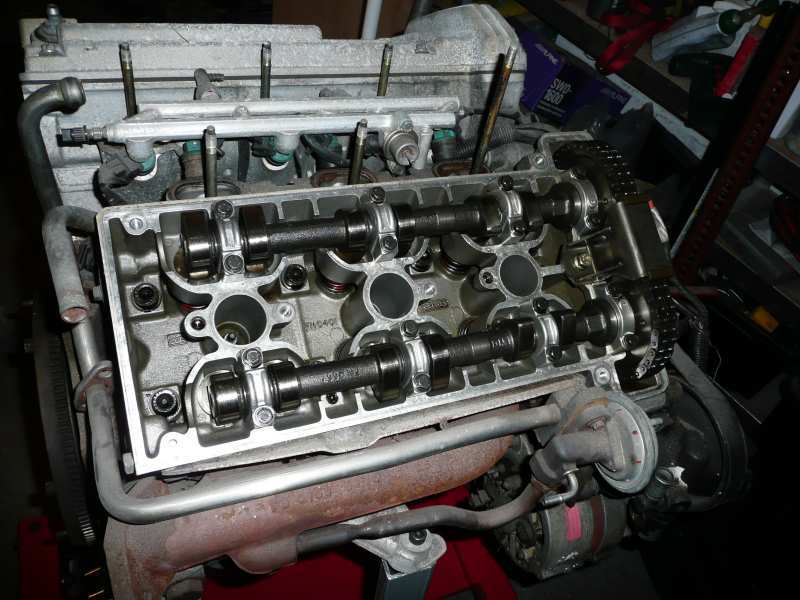 This engine, from the Ford Scorpio Ultima, is a close relative of the common 2.8 engine of Capri and Granada fame. 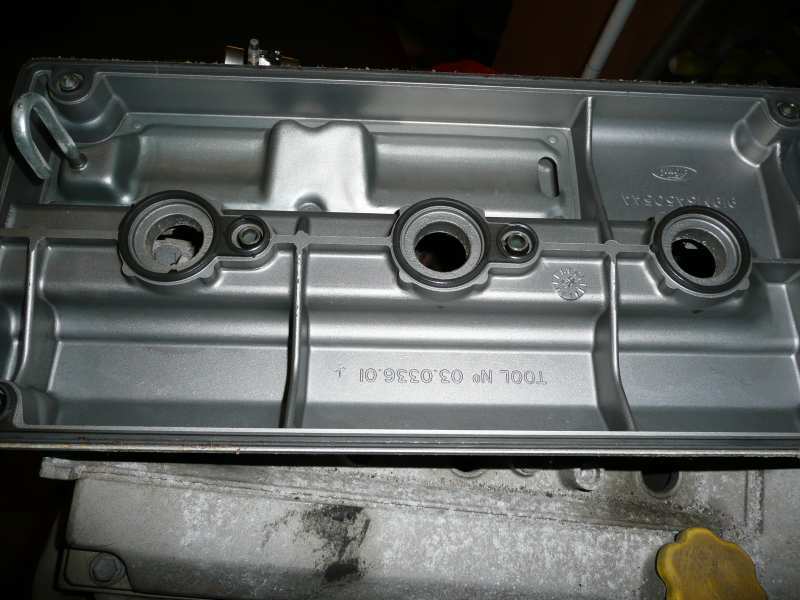 The bottom end is basically the same as the 2.9 12V lump, but the heads were redesigned, and the engine is now a quad cam unit. 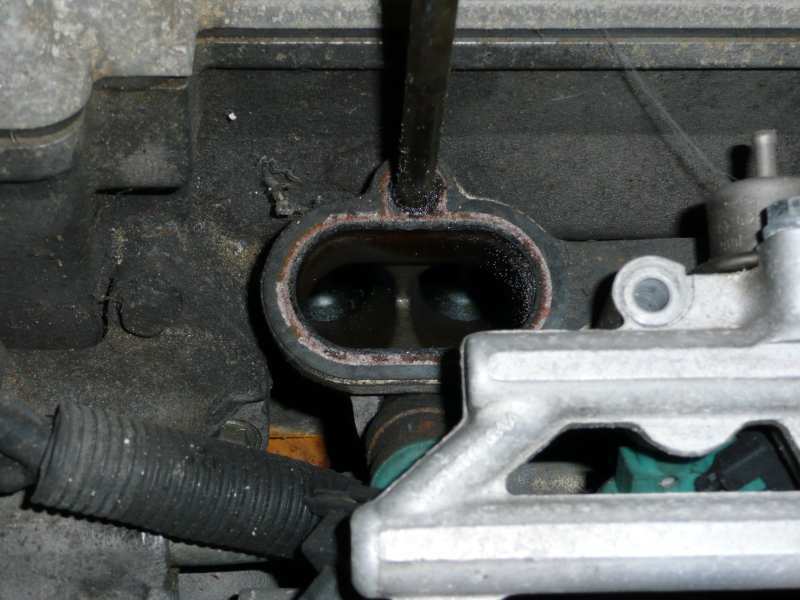 The low positions of the power steering and alternator may cause problems with chassis clearance. Engine mounts will need fabricating, ideally to use the existing hangers on the chassis. In short, it is by no means certain that this engine will fit. That, however, isn't a good enough reason not to try! Having acquired a spare adapter plate (between Essex V6 and LR Gearbox), I've now discovered that the Essex and Cologne engines do not share the same bolt pattern on the bellhousing. I had (obviously) been under the impression that they were the same. www.capri.pl put me straight... Oh, well, just need to find a different adapter housing! 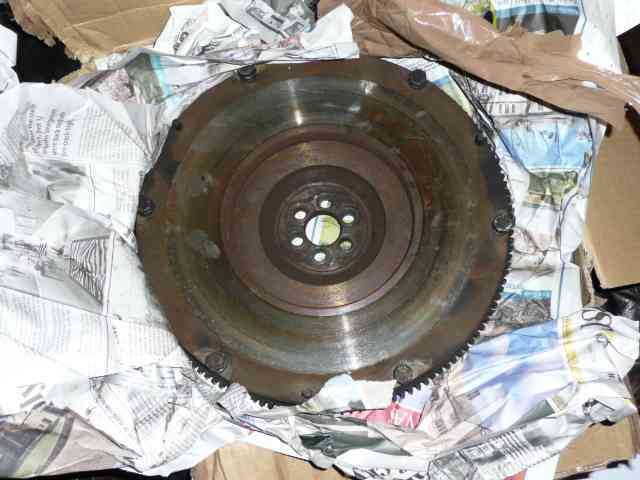 A lucky find at the LRM show at Gaydon BMIHT means I now have the adapter plate to fit the engine and gearbox together. 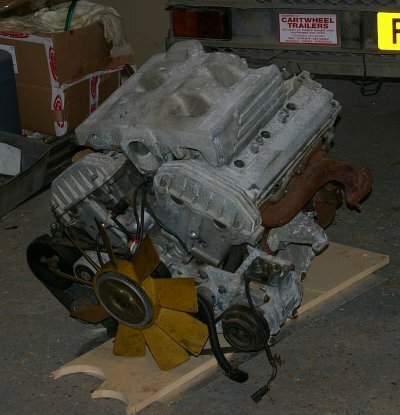 Next up on the shopping list will be a flywheel from a 2.8L V6 - The Cosworth 2.9 was never sold with a manual gearbox so the 2.8 flywheel apparently makes an acceptable alternative. The rocker box is absolutely spotless, and everything looks good. Peering into the timing case with a torch everything looks peachy in there too. This checks out with what I had previously been told by the guy who sold me the engine - that it's a '93 engine, removed in '95 with only 29k on the clock.